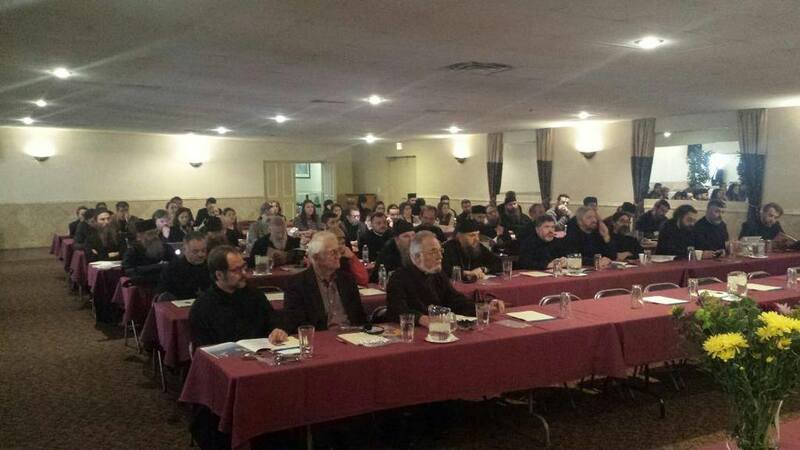 Phoenix, AZ - His Grace Bishop Maxim of Western America and St. Sava Serbian Orthodox Church in Phoenix, Arizona are host to this year's St. Sebastian and St. Mardarije Ecclesial Orthodox Institute which is being held in cooperation with the Clergy Brotherhood of the Serbian Orthodox Church. It officially began on Monday with registration which was followed by Vespers. Afterward, an introduction and greeting was given by His Grace Bishop Longin of New Gracanica and Midwestern America. Tuesday was the first day filled with sessions. 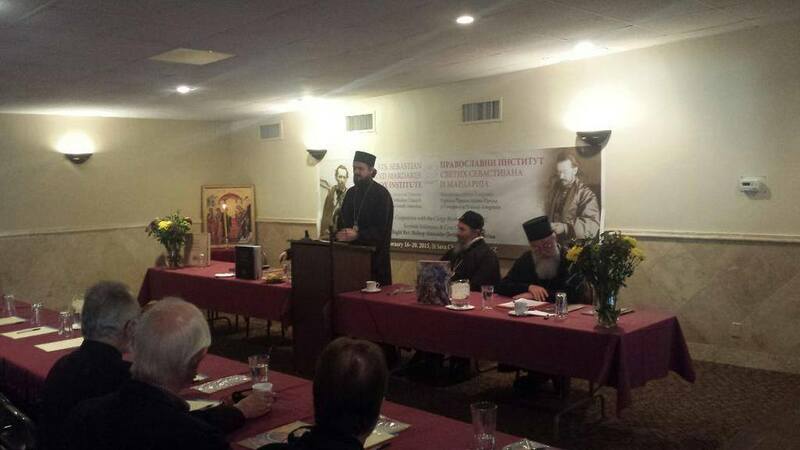 After Vespers His Grace Bishop Atanasije (Jevtic) of Hercegovina delivered the Keynote Address: "The Eschata in Our Daily Life". 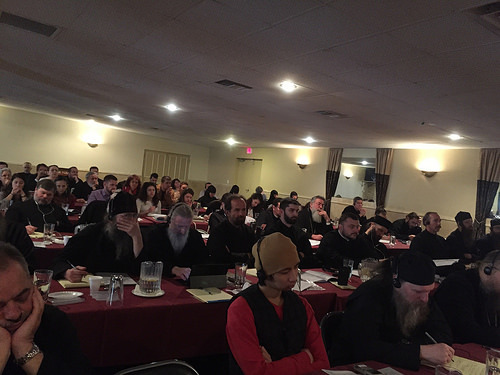 The mission of the Institute is to provide a venue for the informal academic study of Ecclesial (Eastern Orthodox) Christianity which is enriching not only for students but also for Orthodox and non-Orthodox communities on the West Coast and nationwide. 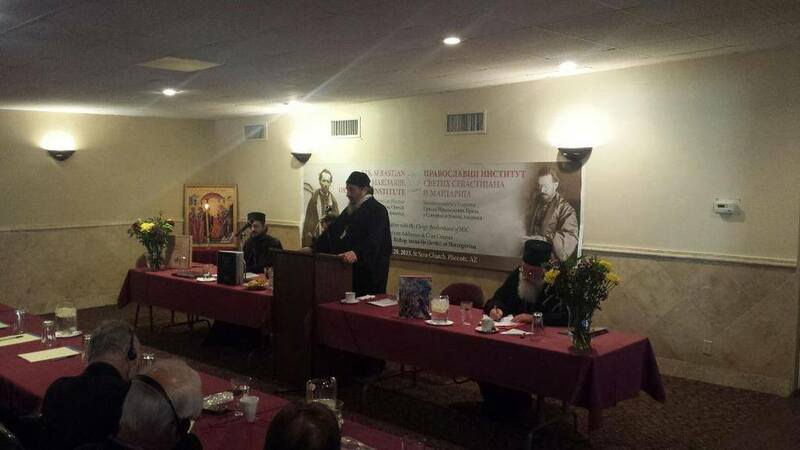 In its vision statement this Institute has as its goal - among other things - to "preserve and perpetuate a vibrant Orthodox Christian tradition in America; to articulate the value and relevance of the Orthodox Christian tradition; and to promote dialogue". 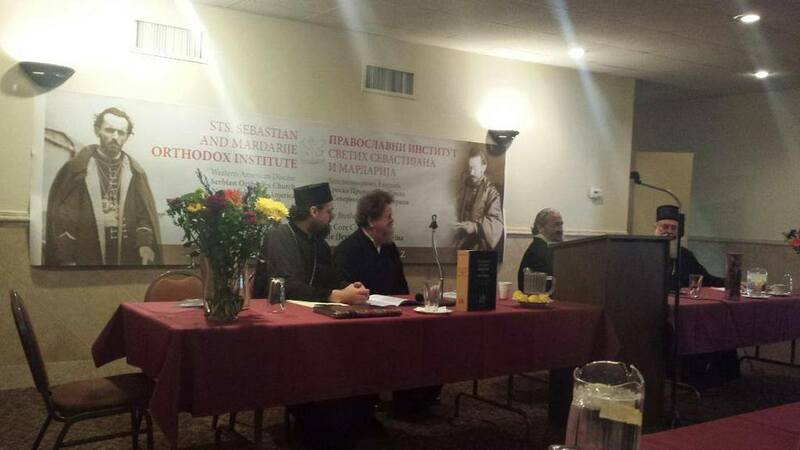 At the end of the second day of sessions, on Wednesday, February 18, 2015, a presentation of the book, "The Christian Heritage of Kosovo and Metohija" will be given, which will be followed with an open discussion and book signing.